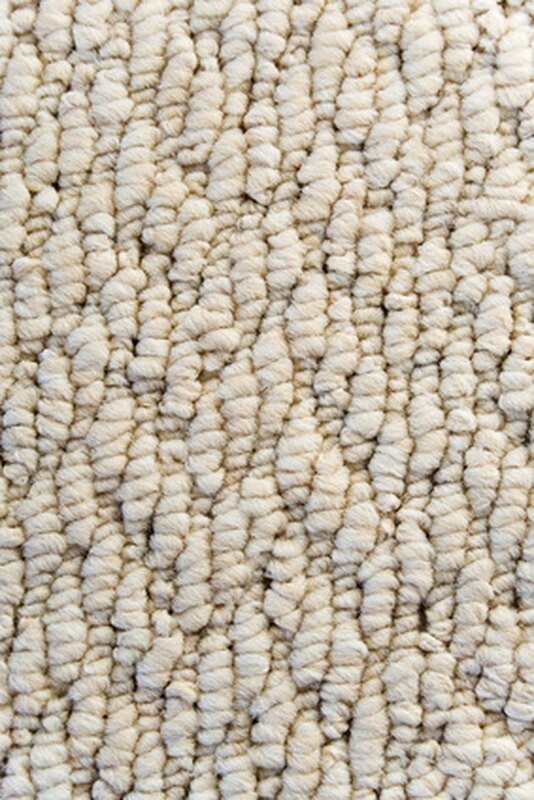 The carpeting is one of the first things people notice when they walk into a room. It is likely that at some point a stain will present itself on your carpet. It is important to determine which type of stain you are working with when removing carpet stains. General water-soluble stains (alcohol, soda, food dyes, ice cream, jelly, mud, urine, ink, paint and similar stains), special water-soluble stains (blood, coffee, mustard, tea, vomit, wine and similar stains) and oil-based stains (grease, butter, margarine, oil) are some of the most common. 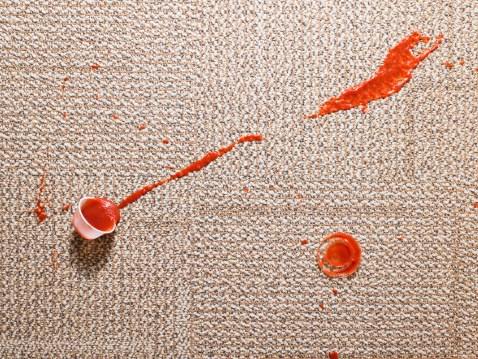 Use homemade stain removers on your carpet for a low-cost way to remove carpet stains. Remove carpet stains while they are fresh for best results. Fill an empty spray bottle with 32 oz. cool water. Add ¼ tsp. white vinegar and ¼ tsp. bleach-free dish soap to the bottle. Shake the bottle a couple of times to combine the ingredients. Spray the solution onto the stained carpet. Allow it to set on the carpet for about five minutes. Blot the stain with a clean, white rag. Work from the outside of the stain towards the center to avoid spreading. Rinse the area with a rag and plain water. Blot with a clean, dry rag to remove excess water. Fill a bowl with 1 Tbsp. ammonia. Add 1 cup cool water and stir with a spoon to combine. Dip a clean, white rag into the bowl. Wring out the rag to remove excess water. Sponge the cleaning solution onto the stained area of the carpet. Allow it to set on the carpet for about five minutes. Blot again with the rag and cleaning solution until the stain has lifted. Switch to clean parts of the rag and rinse and wring out the rag often while removing the stain. Rinse the carpet with a clean, damp rag. Blot the carpet with a clean, dry rag to remove excess moisture. Sprinkle the stain with an absorbent powder if the stain is fresh. Baby powder, cornstarch or baking soda will all work well. Allow the powder to sit on the carpet for at least 20 minutes. Vacuum up the powder from the carpet. The absorbent powder will help to absorb some of the oil from the carpet. Fill a bowl with 1 cup cool water. Add ¼ tsp. bleach-free dish soap to the water. Stir with a spoon to combine the ingredients. Dip a clean, white rag into the soapy water. Wring out the rag to remove excess water. Blot the stained area of the carpet with the rag. Work from the outside of the stain towards the center. Switch to clean portions of the rag, and rinse and wring out the rag often. Rinse the carpet with a rag and plain water. Blot the carpet with a dry rag to remove excess moisture. Mix 1 cup cool water with 2 Tbsp. ammonia if the stain persists. Sponge the ammonia solution onto the carpet with a clean, white rag. Blot the carpet until the oil stain has lifted. Rinse the carpet with a rag and plain water. Mix a vinegar and water solution in a clean bowl to neutralize the ammonia. Combine 1 cup white vinegar with 2 cups water. Apply the vinegar solution with a clean rag, blotting the affected area of the carpet. Rinse the carpet with plain water and blot with a dry rag to remove excess moisture.